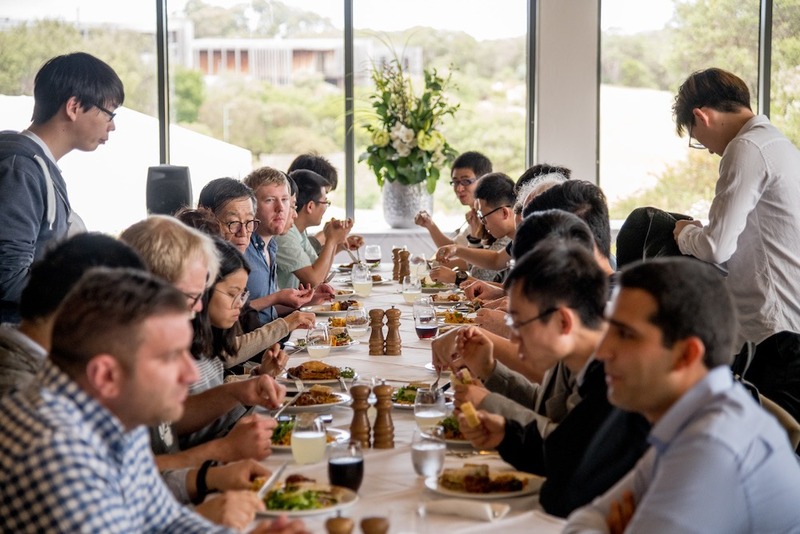 This year's Annual Workshop brought together the Centre's Chief Investigators, International Scientific Advisory Board members, post doctoral researchers, students, professional staff and industry representatives for two days of scientific presentations, discussions, networking, training and a bit of fun on the Mornington Peninsula. 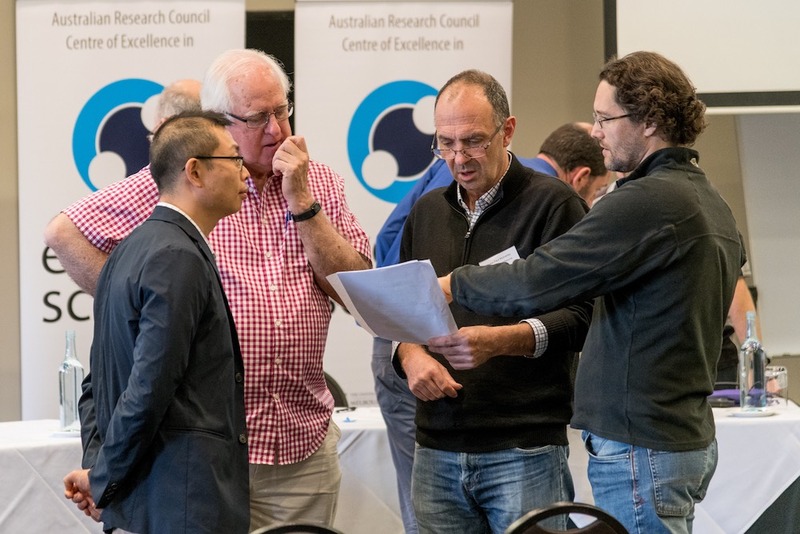 Centre Director Prof Paul Mulvaney, speaks with Chief Investigators Dr Wallace Wong, Prof Ken Ghiggino and Dr Asaph Widmer-Cooper. Workshop delegates networking over lunch. 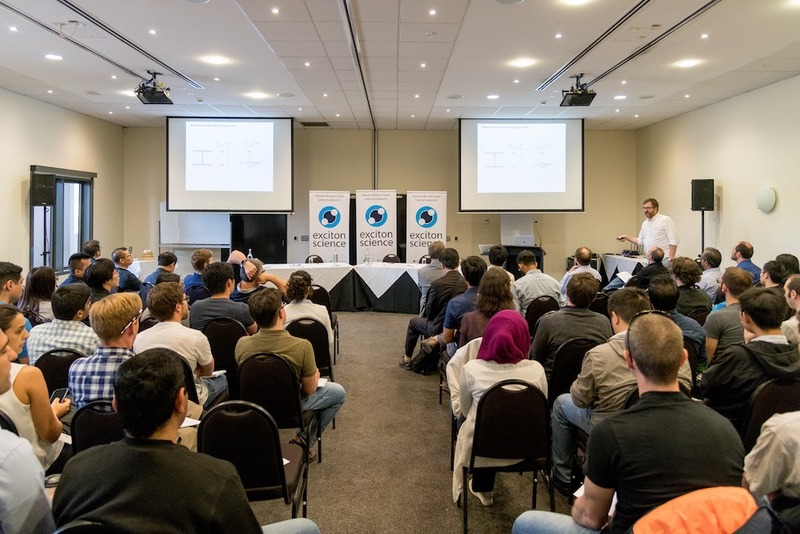 Assoc Prof Dane McCamey presents to delegates.